The end of the reception year (age 4-5) marks the start of key Stage 1 when the natio nal curriculum comes into play. There is a more structured, teacher-led approach to learning, rather than child-centred learning through play and there is more emphasis on reading and writing. 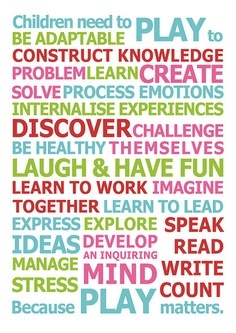 Ask any reception child what they do at school and 9 times out of 10, the word “play” will be mentioned. Ask any year 1 child what they do in school and they will come out with responses like “we do more work”, “we do harder work”, and more specific responses like “we do more counting” or “we write a lot”. So it’s no surprise that parents are concerned about this transition, and worry about their child’s ability to cope and manage the work. I have assessed many children at this stage of their schooling, and have seen a wide range of abilities. Some can write their name neatly, on the line, and remember to start with a capital letter. Whilst others can barely hold their pencil properly. DO NOT worry about this as children mature at different rates. However, if you want to make sure that your child is ready for year 1 and has a firm foundation, then below is a simplified version of what every child in reception should be able to do and I hope this proves useful to you. Able to write own name and other words from memory. Able to hold a pencil and uses it effectively to form recognisable letters, most of which are correctly formed. Uses phonic knowledge to write simple regular words and use phonics to decode more complex words. To begin to form captions and simple sentences, sometimes using punctuation. To be able communicate meaning through phrases and simple sentences with some consistency in punctuating sentences. Be able to read the 100 high frequency reception words. to use mathematical language such as more than, bigger, less, add, take away, share. Use everyday words to describe the position of objects. A wide vocabulary including: over, under, above, below, next to, in front, behind, outside, inside, next to, left, right, up, down, forwards, backwards, across. It’s easy for parents to help their child at this age because it’s almost intuitive, and actually I think most parents teach their child the things on this list anyway. If you need help for your child who is moving onto year 1, then I can assess them to see where the gaps in their learning are. Just call for a free assessment or fill in our contact form here. What a shame that learning through play is almost dismissed once children make the transition into year one when so much research and data shows that children learn rapidly through play! Children continue to address the gaps from the Early Years Foundation Stage Curriculum at the start of Key Stage One and my children continue to learn through carefully planned play opportunities with elements of challenge, in addition to ‘small’ groups of children working practically with a practitioner. My parents love the fact that the transition into year one is absolutely seamless! Just a thought…telling the time through worksheets or making paper plate clocks, play dough hands on a clockface, moving the hands on a ‘real’ watch or clock, painting o’clock times or playing Mr Wolf in the playground?